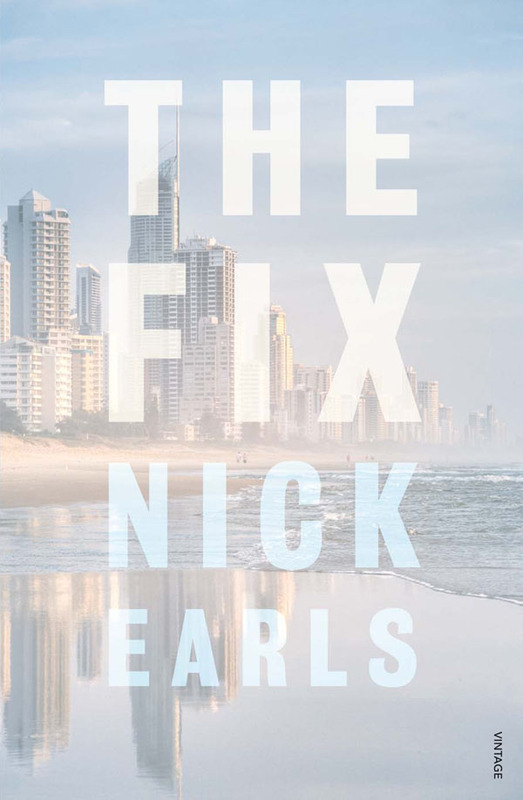 The Fix is the most recent offering by Australian author Nick Earls. I have long loved Earls's breezy, conversational writing style and his novels are often set in Brisbane, where I grew up, which is a bonus. 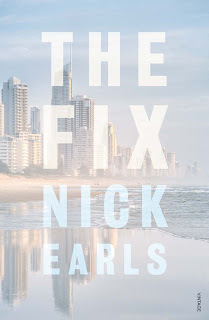 The Fix is impressive and from what I have read of his earlier books, a bit of a departure from his normal, humorous, perils of being a student or relationships fare. The Fix begins with Josh Lang returning to Brisbane after being in London for a few years where he worked as a "fixer" or a spin expert who specialised in selling the unsellable. Back home in Brisbane, his employment prospects are not looking too bright. He has a weekly blog for a local news publication where he supplies quirky pieces. His brother Brett, at their mother's insistence, finds an assignment for Josh with a legal firm that his own business has had dealings with. The assignment seems straightforward enough; he is to guide one of the firm's solicitors through the publicity associated with him being awarded a bravery medal for protecting the senior partner in a hostage taking siege. The young solicitor in question turns out to be Ben Harkin, an ex-friend of Josh's. Josh needs the money and so decides that irrespective of the bad history between them - the good looking and successful Ben had slept with a girl friend of Josh's years before - he will do his professional best to guide him through the medal ceremony and media engagements. And after all, it would all be over in a couple of weeks. From the outset, the story of the siege, where Ben emerges as hero after the gunman, a disgruntled, presumed psychotic, client of the firm is shot dead, seems fishy to Josh. Ben's reluctance to speak about the details don't entirely make sense, nor do the senior partner's instantaneous efforts to see that Ben is awarded a bravery medal. Ben is as inscrutable to Josh as he had been in the past, when they were friends. The Fix is really Ben's story told from the perspective of Josh. It is clever and engaging, and the tension builds steadily so, even though the reader knows there will be a surprise in store, the ending still delivers. This is a Nick Earls novel in that it is filled with quirky characters and scenarios, that while offbeat, are endearing and recognisable. Earls writes dialogue well. He has a flair for capturing the awkwardness and insecurity of many social interactions. 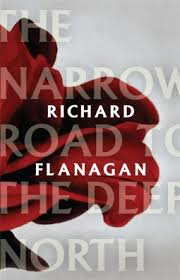 He creates a wonderful sense of place by writing about unconsciously observed details in a few words. The action takes place in the central business district of Brisbane, and the surrounding suburbs, as well as the tourism extravaganza of Surfers Paradise and The Gold Coast. I saw Nick Earls at the recent Brisbane Writers' Festival and was impressed with his presentation and interaction with the audience. He looked like he enjoyed talking about his book and made it look easy, but confessed when asked about this, that he has improved over the years and consciously decided a few years ago that if he did a little bit of preparation he could look forward to such events. Do I think non Aussie readers would enjoy reading The Fix? I think there are added joys for those that know Brisbane and The Gold Coast, but his style is accessible and witty, he brings his settings and characters to life, and the novel struck a chord with me in exploring the mysterious and unknowable in our relationships with others. Perception is all as they say, and our perception, as much as we might try for it not to be, is always plagued by our own stuff. If you liked the movie The Sting, The Fix, has a similar feel, though fortunately, you don't need to read The Fix twice to understand what happened. I just picked this up at the library and am looking forward to reading it. I was really glad to see at the end of your review that non-Aussies could enjoy this one, as the narrative sounds very interesting to me. I'm going to look for this one in the US.